Brief Description: The University of Oulu, Finland Scholarships are provided to academically talented international students. Students who are not citizens of an EU/EEA member state are liable to pay the tuition fee. Scholarships is Offered annually. 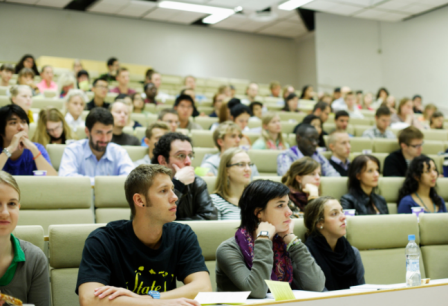 Students on Scholarship at University of Oulu, Finland. About Award: The Finland scholarships are aimed at students studying for a Master’s degree in the University of Oulu two-year international Master’s programmes. The scholarship is for one academic year and covers the full international tuition fee. Eligible to apply for a Master’s degree programme at the University of Oulu for academic year 2017 – 18. How to Apply: There is no separate application for the International Finland Scholarships. All applicants for University of Oulu Master’s degree programmes need to complete the Student Application Form. Those applicants who are applying for the University of Oulu International Master’s Scholarship have to additionally complete the “Application for Scholarship,” which can be found at the end of the Student Application Form. The International Master’s Scholarship application form cannot be completed and/or submitted without the Student Application Form. Now that all the information about University of Oulu, Finland Scholarship for International Students from non- EU/EEA countries has been delivered nicely; talented students who are eager to pursue their Free Tuition/Scholarships/Study In Finland can apply now. Labels: Finland Scholarships, Master's Scholarship, Oversea Scholarship, Post Graduate Scholarship, Scholarship. if i got a scholarship, will i be able to work in an area relevant to my major to support myself ? Go ahead to apply, Please read the information given to you well, you will see direction and procedures to apply. pls, is there scholarship for undergraduate study also in Finland? pls,is there still availability for undergraduate study? Yes dear. Go through the information in this post, you will see guidelines to apply.